Jennifer Stoner is an award-winning interior designer specializing in creating beautiful "Conception to Completion" design projects for discerning clients. Based in Richmond, Virginia, Jennifer’s services have now expanded to projects across the country. Whether in the process of building a new home, tackling a renovation or transforming your interiors, Jennifer and her team provide high-level services to both manage project details and effectively execute a plan of action. Jennifer's talents have also been proven in the commercial realm, creating sophisticated and welcoming public spaces. Her clients have included a vast array of entrepreneurs, physicians, attorneys, developers, celebrities and Fortune 500 CEOs. Jennifer achieved immediate success when she began her design career over 19 years ago, by working on a vast array of projects, with varying degrees of scale and style. Her work has been featured on HGTV and TLC, as well as been published in several shelter magazines such as Traditional Home Magazine, Home & Design Magazine, Richmond Magazine and R-Home Magazine, among others. 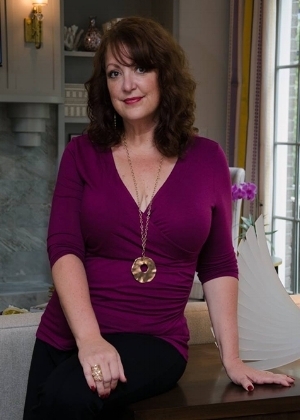 Jennifer has been named as one of America's Top 100 Influencers in the Design Industry. Whether in the process of building a new home, tackling a renovation or transforming a living space, Jennifer provides high-level services to both manage project details and effectively execute a plan of action. Jennifer’s passion is evident in the new construction or renovation process. She takes a team member approach to these types of projects by being involved from the blue-print stage all the way through to hanging the final piece of fabulous artwork. Jennifer strongly believes that the collaborative efforts of the architect, builder and interior designer will ultimately lead to the smoothest process for her clients and the best possible finished product. While blueprints are essential, Jennifer has established a reputation for showmanship by adding jewelry in the way of sophisticated furnishings, beautiful window treatments, luxurious rugs and all of the details that elevates a home’s presence.